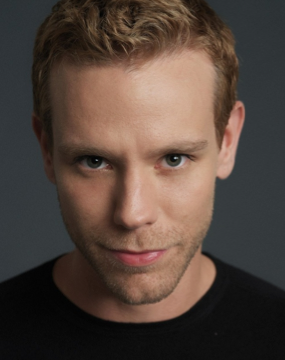 Adam Pascal is one of Broadway’s favorite leading men, having been born and raised in NYC. He is widely known for originating the role of Roger Davis in the Original Broadway Cast of Rent, for which he received a Tony Nomination for Best Actor (Musical), and won the Drama League and Obie Award for the role. He went on to star on Broadway as Radames in Elton John & Tim Rice’s popular musical Aida (Drama League Award), Emcee in Cabaret, Huey Calhoun in Memphis, and most recently as Billy Flynn in Chicago. Adam reprised his role of Roger Davis in in the 2005 film version of Rent, and concluded his journey with the character on the 2009 national tour of the show alongside Original Broadway cast member Anthony Rapp. Adam is also a successful recording artist having released 3 solo albums, with the most recent Blinding Light released this past year. Adam Pascal will be hosting a masterclass, working with performers on musical theatre and pop pieces. ALL AGES are welcome to participate. PREPARATION: Participants should prepare one 32-bar cut of a musical theatre or pop song. Bring sheet music marked and in the appropriate key. An accompanist will be provided. No CDs or A Capella. Wakeland Theatre Booster’s final Booster Club meeting: Monday June 2nd at The Tribute in The Colony. Start time 5:30 PM. Nominating Committee of Debbie Owen, Anne Watson, and LeRey Coker will present the following slate for election to the Board.